Paneer Kofta Curry Recipe - How To Make Paneer Kofta Curry. Kofte are mainly served with parathas or puri. Paneer ke Kofte are loved by childrens too much, because it gives a cheesy taste. It's easy too cook at the time of dinner. In a mixing bowl combine the grated paneer, potatoes, khoya, ginger garlic paste, salt, turmeric powder, red chili powder, fresh coriander, ground cumin and coriander seeds, mustard oil and raisins. Mix well together and knead into a dough. Make koftas (round bite sized balls) of the dough, dust with flour. Keep in the fridge for fifteen minutes to let the koftas firm up. Heat the refined oil in a pan. Add in the cinnamon sticks, green cardamom, brown cardamom, cloves, bay leaves and cumin. Let it crackle. Then add the onions, salt, ginger garlic paste, ginger garlic paste, red chili powder and ground coriander seeds. Cook till the onions brown. Add in the tomato puree and fresh milk into the gravy. Stir and let cook on a gentle simmer. Into the pan, add hung curd and sugar to balance the acidity. Cover and let it cook for 10 - 15 mins. In a different pan, shallow fry the koftas in refined oil.Add the shallow fried kofta into the gravy mixture. Let simmer for 5-6 mins.Garnish the gravy with fresh coriander and a squeeze of lime, Serve hot! 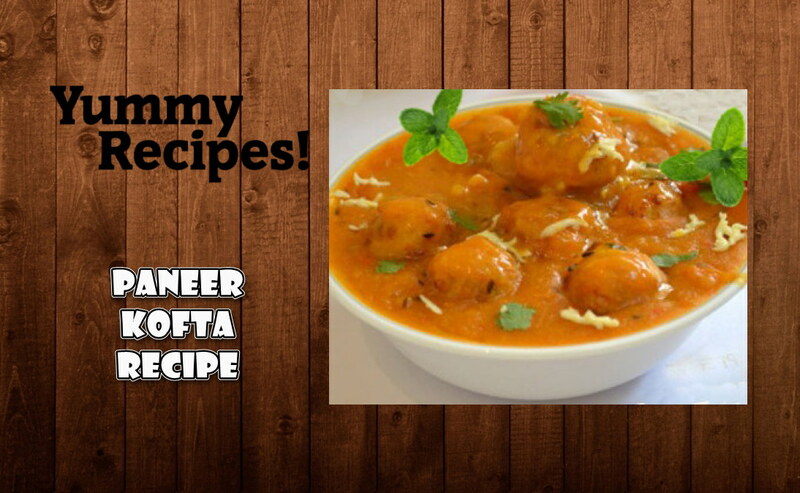 Yummy Recipes: Paneer Kofta Curry Recipe - How To Make Paneer Kofta Curry.